19 Maggio 2018 | in English. 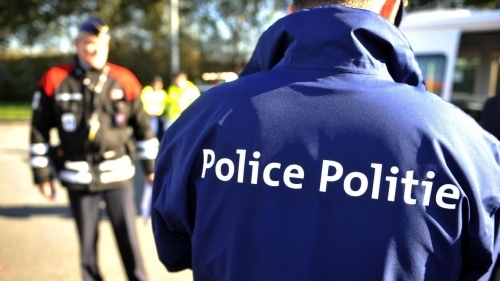 In the night between Wednesday and Thursday, Belgian police opened fire against a van full of migrants on the E42 Namur-Mons highway. According to first reconstructions, Mawda, a Kurdish 2 year old child, has been killed, hit in her face by a bullet. There are ongoing police investigations, carried out by the Mons police and by the Comitè police, the police internal commission that is mobilised in case of police abuses. They both seem to agree that the child has actually been killed by the police. News has only spread this Friday morning,due to a precise decoy carried out by the police forces and the government, who are still declaring to doubt the fact that the child has been actually killed by the police. The Minister of interior of the extreme right party NVA, Jan Jambon, has issued a hypocritical declaration on Twitter, stating that last night's event has been an "accident that ended up tragically, which witnesses the sad conditions of human trafficking". Michel's government has been involved in a long-term ethnic cleansing against migrants and illegal migrants. The child's death is therefore a real state killing, the direct consequence of the immigration policies carried out by Jambon and Francken, the Minister of Immigration. The instrumental and rhetorical use of blaming the human traffickers as responsible for the police actions openly hides the political responsibilities linked to the migration policies of the government. The closing of borders and the persecution of migrants surely have not being decided by the so-called traffickers who, on the contrary, benefit from these measures to increase their activities of exploitation. This is the mechanism spreading all over Europe from north to south: stopping migrations flows, even through directly financing concentration camps in Libya and in Turkey; repressing and prosecuting migrants already present on the European territory; crying crocodile tears and evoking the monster of human trafficking, every time there are tragedies like the one happened on Thursday. A sit-in was called in front of the Migration Office today at 6pm: it then became a demo to ask the immediate resigning of Jambon and Francken. What happened last night in Mons is extremely serious; however, due to the context, it does not come as a surprise : Fortress Europe keeps claiming lives. It is time to break the silence and to direct the anger against those who are the real responsibles of these acts. We want the immediate resigning of Jan Jambon and Theo Francken! Jambon and Francken get out!